On January 30th, I had the pleasure of being a guest at the White House as the First Lady Michelle Obama hosted the American School Counselor Association’sÂ School Counselor of the Year awards ceremony. This is the first time this event has been held at the White House. 36 finalists and semifinalists and 2015 School Counsel of the Year Cory Notestine of Alamosa High School in Colorado received recognition from the First Lady and actress, Connie Britton who played a school counselor on the popular television series Friday Night Lights. The First Lady shared that â€œEvery day, our school counselors help young people become the people theyâ€™re meant to be and achieve what they were put on the earth to achieve. Â That is truly an awesome responsibility. Â Itâ€™s also a tremendous privilege.â€ Â The First lady published an op-edÂ and also spoke about the event, as well as her Reach Higher Initiative,Â on Entertainment Tonight.Â Â View a video of the White House ceremony here. Last week, the House approved through voice vote the Strengthening Education through Research Act (SETRA). 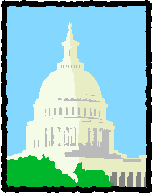 The bipartisan vote and legislation reauthorizes the Education Sciences Reform Act (ESRA), which supports educational research programs such as the National Center for Education Statistics (NCES), National Assessment of Educational Progress (NAEP) exams and state longitudinal data systems. â€œThe Strengthening Education through Research Act will improve education research and help ensure more schools and students can benefit from effective educational practices,â€ said Rep. Rokita (R-IN) upon passage of the legislation. NASDCTEc is very supportive of this legislation and looks forward to SETRAâ€™s future progress in the Senate. The text of the bill, fact sheets, and other useful information can be found here. In addition to moving forward on SETRA, the House also passed the Success and Opportunity through Quality Charter Schools Act (H.R. 10), which streamlines two existing charter school programs into a single $300 million annual program to support the development and expansion of high-quality charter schools â€” a $50 million increase over current funding levels.Â The bill passed with overwhelming bipartisan support on a margin of 360-45. House CTE Caucus Co-Chairs Rep. Glenn â€œGTâ€ Thompson (R-PA) and Rep. Jim Langevin (D-RI) also successfully passed an amendment to the bill before its final passage, which added comprehensive career counseling to the criteria the Secretary of Education must consider when making grants under this legislation. â€œThis amendment recognizes that career counseling is a critical tool we must promote in order to assure that students are informed and prepared to meet their next educational or career challenge,â€ Rep. Thompson said upon the amendmentâ€™s adoption. NASDCTEc applauds this renewed focus on career counseling in our nation’s schools and looks forward to similar proposals to further strengthen these critical student support systems. More information on this legislation can be found here. Late last week the House Committee on Appropriations passed a measure confirming the topline spending cap for Fiscal Year (FY) 2015 at $1.014 trillion for the entire federal discretionary budget. This figure conforms to the spending caps put in place by the Bipartisan Budget Act of 2013. The committee also set about dividing up this figure into 12 separate allocations â€” known as 302(b)s â€” to be used by each of the relevant subcommittees as they craft the necessary spending bills to fund the various departments, agencies and programs that compose the federal government. Discouragingly, the 302(b) allocation for the Departments of Labor, Health and Human Services, and Education â€” under which the Carl D. Perkins Actâ€™s basic state grant program fallsâ€” was set at $155.7 billion. This figure is roughly $1 billion below what was allocated in FY 2014 and will put additional pressures on appropriators as they decide how to divide that sum among the various programs under the jurisdiction of the Labor-HHS-ED bill. As this process unfolds, NASDCTEc will be working with appropriators in both Chambers to ensure that adequate investments are made in our nationâ€™s CTE system. The Senate is expected to undertake this process in the next several weeks. Does the budget and appropriations process sound confusing? Check-out NASDCTEcâ€™s on-demand webinar unpacking this complex process. Yesterday, Sen. Tim Kaine (D-VA) introduced the Credentialing Improvement for Troop Talent (CREDIT) Act of 2014 to help members of the armed services acquire credentials for use in the civilian labor market. The bill would expand the authority of the Tuition Assistance program currently available to servicemembers by allowing the program to cover expenses stemming from obtaining a civilian credential. Under the programâ€™s current rules, the program only provides financial assistance for postsecondary programs and does not cover fees from certification or licensing programs. â€œThe CREDIT Act will provide servicemembers with the resources they need to obtain civilian credentials while on active duty, easing their entry into the civilian workforce and improving their chances of getting quickly hired by a private sector employer,â€ said Sen. Kaine upon the introduction of his bill. NASDCTEc strongly supports this legislation and applauds the Senatorâ€™s commitment to expanding federal financial aid eligibility for CTE programs that help prepare students in all walks of life for further education and careers. Â More information on the bill can be found here. Last night, before a joint session of Congress, President Obama unveiled his proposal to create jobs and grow the economy. With unemployment hovering around 9%, the Administration hopes that this plan turn around the economy. Broadly, the American Jobs Act proposes to extend existing and implement new tax cuts, and invest in areas such as infrastructure, housing aid, and education. This $400 billion plan will be paid for using savings identified by the newly-appointed Congressional deficit reduction committee. â€¢	$35 billion to prevent public sector job layoffs â€“ This includes educators, police officers and firefighters. Up to 280,000 education jobs are vulnerable to cuts this school year due to state budget troubles. The fund would support state and local efforts to retain teachers, counselors, tutors, and classroom assistants. â€¢	$30 billion school modernization fund â€“ This fund would support efforts to modernize at least 35,000 public schools. The money could be used to update labs, renovate facilities and increase internet access. Priority will be given to rural schools and schools in the most need. The funding includes $5 billion dedicated to community colleges. The House Appropriations Labor-HHS-Education markup scheduled for this morning has been cancelled, with no new date announced. House Majority Leader Eric Cantor (VA) has said that the House will vote on a continuing resolution during the week of September 19 that it will likely run through November 18. Congress is hoping to finalize the appropriations process by that date and will use an omnibus appropriations bill, rather than separate bills by subcommittee. In the Senate, the Appropriations Committee approved a funding level for Labor-HHS-Education subcommittee that is $17.9 billion above the $139.2 billion set by the House. While the $157.1 billion allocation for the Labor-HHS-Education subcommittee is $23.7 billion below the Administrationâ€™s FY12 budget request and $300 million below FY1 levels, this is encouraging news. Despite the fiscal climate, it is clear that the Senate understands the importance of education programs. Rep. John Barrow (GA) introduced H.R. 2851, a bill that would amend the Workforce Investment Act to establish a technical school training subsidy program. The bill would provide competitive grants to the states to provide funds to local workforce investment boards for technical school training subsidies in local areas through the One-Stop system. Subsidies received by individuals shall be used to assist them in paying the cost of tuition for career and technical education at a technical school. Last week, the efforts of an ambitious counselor at a career technical education (CTE) high school were recognized nationally. Dr. Randy McPherson, a counselor at Trezevant Career and Technology Center in Memphis, Tennessee, was awarded School Counselor of the Year by the American School Counselor Association (ASCA). McPherson plays an extensive role in expanding opportunities for his CTE students, many of whom qualify as at-risk. Upon entering the field over 15 years ago, he researched the Memphis job market and helped eliminate programs that did not lead to high-demand, high-paying, and highly-skilled jobs. McPherson started a health science program featuring internships, guest speakers, mobile labs, and field trips to hospitals for students hoping to enter health-related fields. He also spearheaded efforts to create a Cisco Network Academy at the school, offering students the opportunity to increase computer networking skills and to earn college credits online. His numerous contributions helped Trezevant to be recognized as one of the nationâ€™s 10 Model Alternative programs. McPherson himself provides an exemplary model as a school counselor. By greatly increasing the quality of programs available at Trezevant, he creates vast opportunities for his CTE students to succeed. The concluding session at last weekâ€™s Fall Meeting in Baltimore, Maryland was a listening session on Perkins reauthorization, moderated by Assistant Secretary for Vocational and Adult Education, Brenda Dann-Messier, and Sharon Miller, the director of the Division of Academic and Technical Education. Assistant Secretary Dann-Messier told the attendees that this listening session was going to be the start of a national conversation about Perkins reauthorization. She and her staff plan to host a series of listening sessions that will conclude at NASDCTEcâ€™s Spring meeting in April 2011. She also said OVAE is soliciting feedback and comments from the public about Perkins reauthorization at cteconversations@ed.gov. The session was structured around four topic areas: Programs of Study, secondary to postsecondary transitions, performance measures, and whether there should be more specific or common measures and definitions, including regulations. While the House voted last week to pass the Education Jobs Fund, it remains unclear what will happen in the Senate. Last Friday, a group of 13 Democratic Senators, led by Sen. Evan Bayh (IN), sent a letter to Senate Appropriations Chairman Daniel Inouye (HI) opposing the $800 million education offsets in the House bill, while expressing support for the education jobs fund. House Appropriation subcommittees have begun hearings to markup FY11 appropriations bills, with six bills already marked up. We have heard that the House Labor-HHS-Education subcommittee will markup their FY11 bill next week, possibly on Friday, July 16th. Now that the House passed the Budget Enforcement Resolution, the full House Appropriations Committee can formally make its 302(b) allocations, which set the amounts that each subcommittee has to work with as they set spending limits for programs they have jurisdiction over. Rep. Linda Sanchez (CA) recently introduced H.R. 5671 the Put School Counselors Where Theyâ€™re Needed Act. This bill seeks to create a demonstration project in the Elementary and Secondary Education Act (ESEA) that would fund additional secondary school counselors in troubled Title I schools in an effort to reduce the dropout rate. While the bill does not specify CTE, it does allow for counseling services such as individual graduation plans, something NASDCTEc supports in our ESEA recommendations. Designing relevance in academic instruction and providing students with age- and experience- appropriate access to employers ensures better post-secondary and workforce readiness. This presentation focused on proven middle and high school programs of the Adams County Education Consortium that enhance career development of all students and engage area employers. At last weekâ€™s Career Clusters Institute representatives from the Office of Vocational and Adult Education held a listening session to hear from stakeholders about the upcoming Perkins reauthorization, scheduled for 2012. The session was centered around three topics: programs of study, Tech Prep and the legislation generally. There should be a sequence of courses at the cluster level so that students would have more options when they are in postsecondary. While Perkins is implemented in this way in many places, attendees said that it should be spelled out better in the law. There should be a better opportunity for students to blend clusters (e.g., healthcare and IT), and POS should be individualized for students to be able to do this. Students need better access to school counseling. Dual enrollment should continue to be an option, not a requirement. Some were afraid that consolidation would lead to Perkins money being used for things other than Tech Prep in the Basic State Grant. A merged state reported that in their state funding goes to POS, so articulation and collaboration between secondary and postsecondary still occurs.